Hello Welcome! 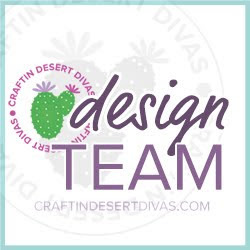 This week the Craftin Desert Divas design team has been sharing shaker cards. If this isn't a card you've created before it is a must try. 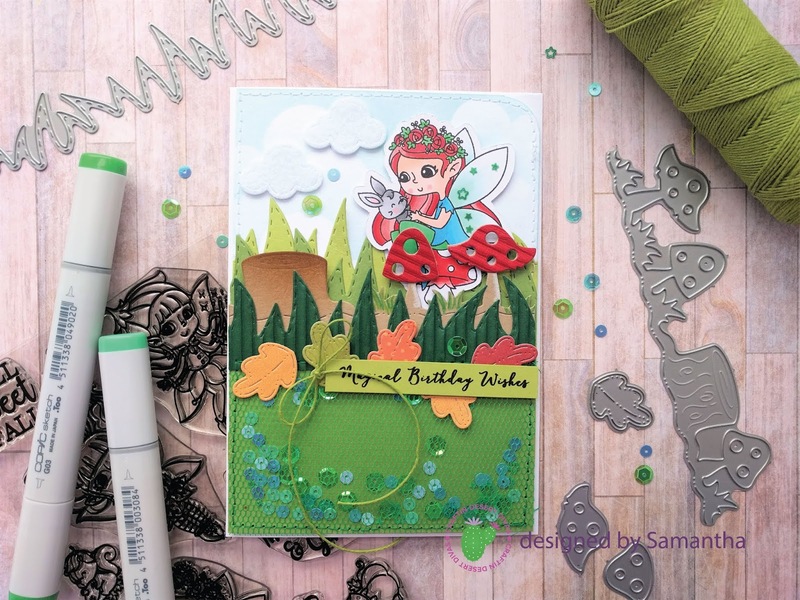 For my card I decided to create a little pocket using a mesh material. 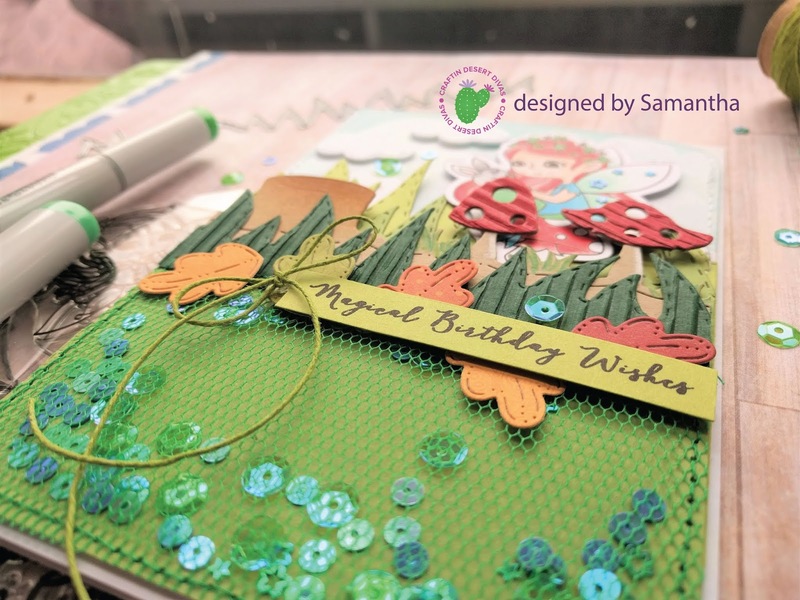 This requires using a sewing machine to stitch a border that holds the sequin bits in but could also be achieved by hand stitching or using double sided tape, then creating a frame with paper to conceal the tape. 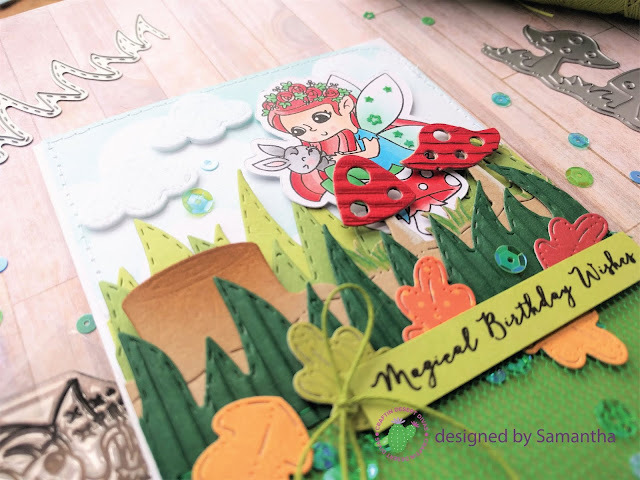 Have you tried creating a shaker card before? Is there such thing as too many sequins? 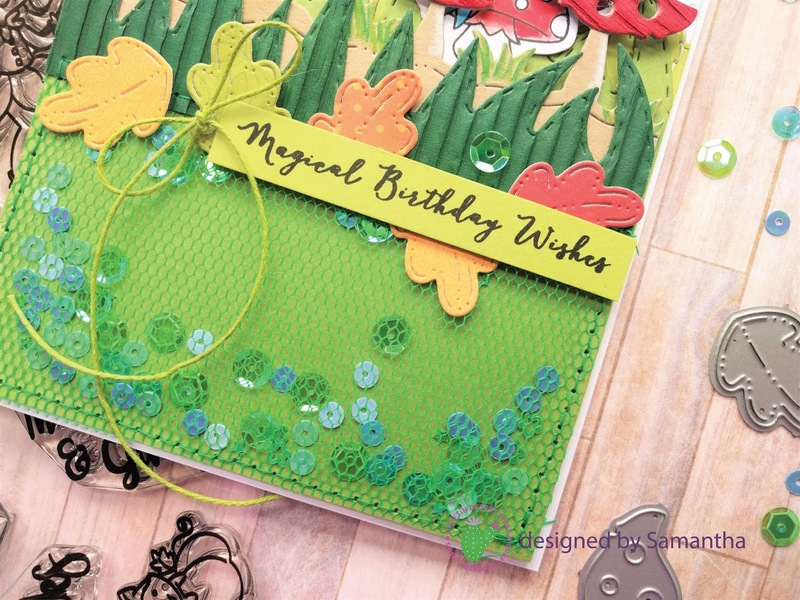 If you haven't tried this technique before there is a wonderful video up on Craftin Desert Divas blog by design team member Sherry - check out her take on the shaker card and give it a go yourself! How many Friday's till Christmas? I have no idea how many Friday's till Christmas but I am sure that someone will post it on Facebook to remind me everyday that its closer then it feels it is! But from August till November its pretty much birthday after birthday after birthday - and normally I'm in a mad rush from December to get all my Christmas cards, tags and decorations done but this year I've started early (earlier than I normally would) and it heaps that there are lots of challenges to provide me with incentive to get them done. This card is for Unitys (show & tell) weekly challenge. 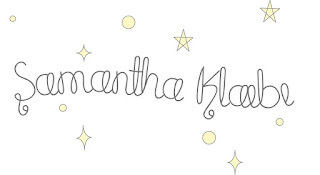 Details can be found here. 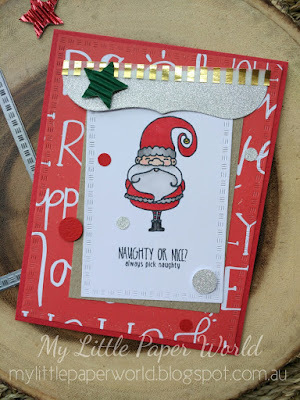 I used their Always Pick Naughty Stamp along with My Little Paper World Rectangle nesting dies and some old Christmas paper I've had lying around. Copics: T1, T2, T3, T4, T5, T6, E1, R20, YR23, R46, R29. 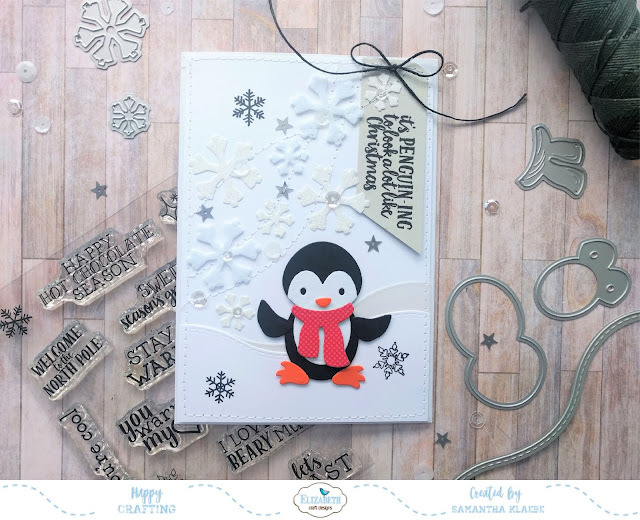 Have you made all your Christmas cards/tags this year? or ... are you like me and leave it to the last minute? 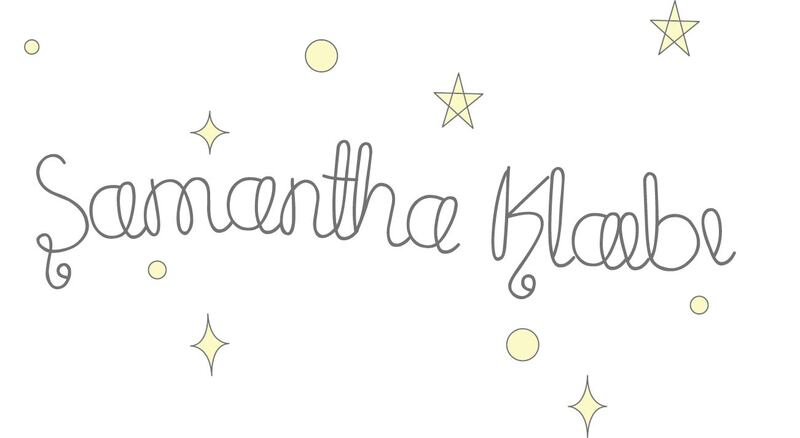 So personal goals aside (loose weight, drink less sugary drinks, etc) I've made a few creative goals that I'd like to complete in the year 2017. I plan on keeping the 'DO NOT BUY MORE PAPER!' rule I started late last year, and I've been pretty good with sticking to it. I've listed below what I'd like to achieve. Get on a Design Team. 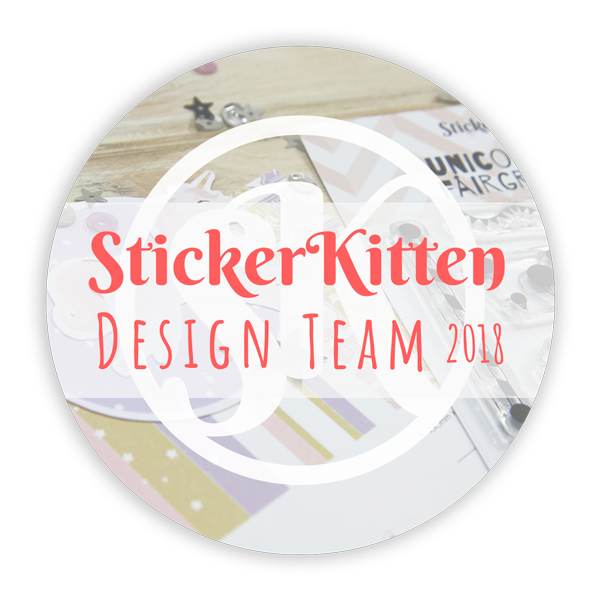 Create a Video and get a YouTube account.Practice more Watercolour (a lot)Spruce up the blog design...Keep craft room clean (I've failed this one every year...)This month I applied for 3 Design Team opportunities. I haven't heard back from any but will keep trying. 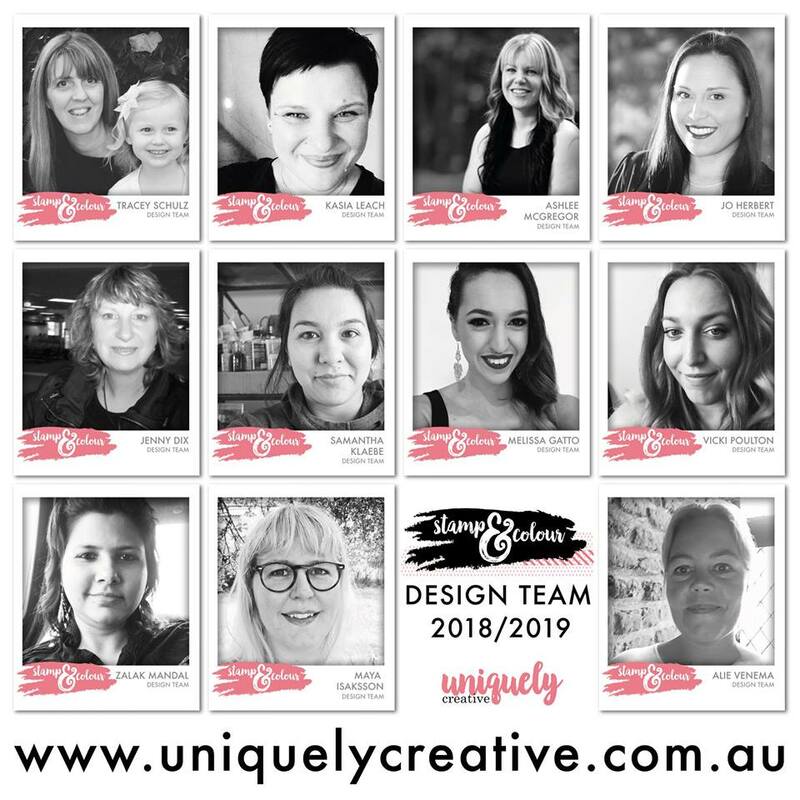 I miss that little creative push being on a design team gives and I could do with a little bit of a challenge creatively. Do you have any creative goals to achieve 2017? 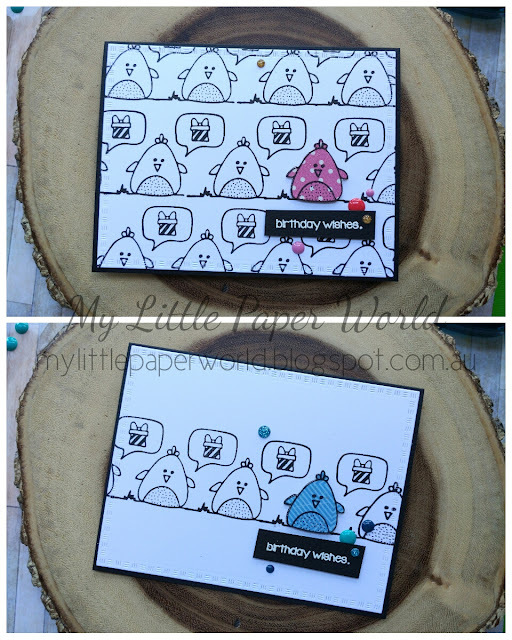 Here are two more cards I created using a Itty Bitty Unity Stamp. Thanks for stopping by. Here's to a inspirational 2017 and hopefully a cleaner craft room! 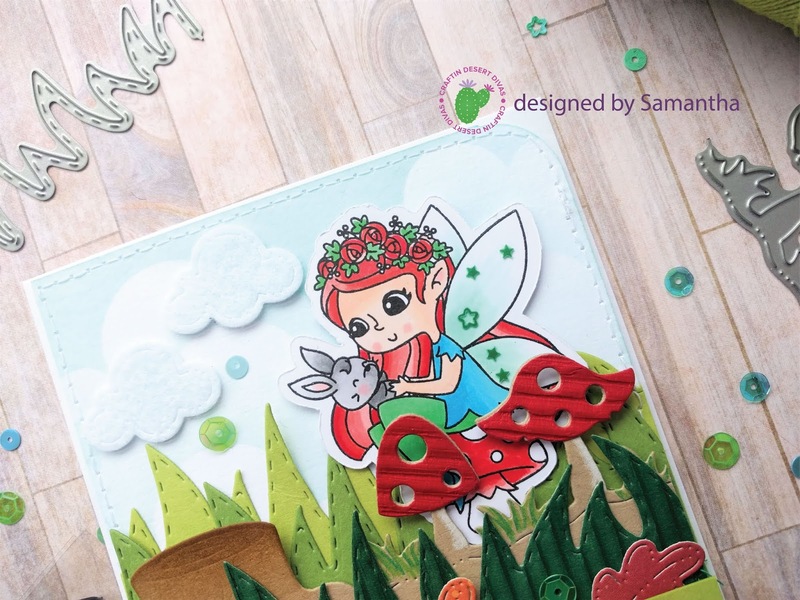 This months challenge questions is: What of the characters from the new Joset Designs collection is your favourite? 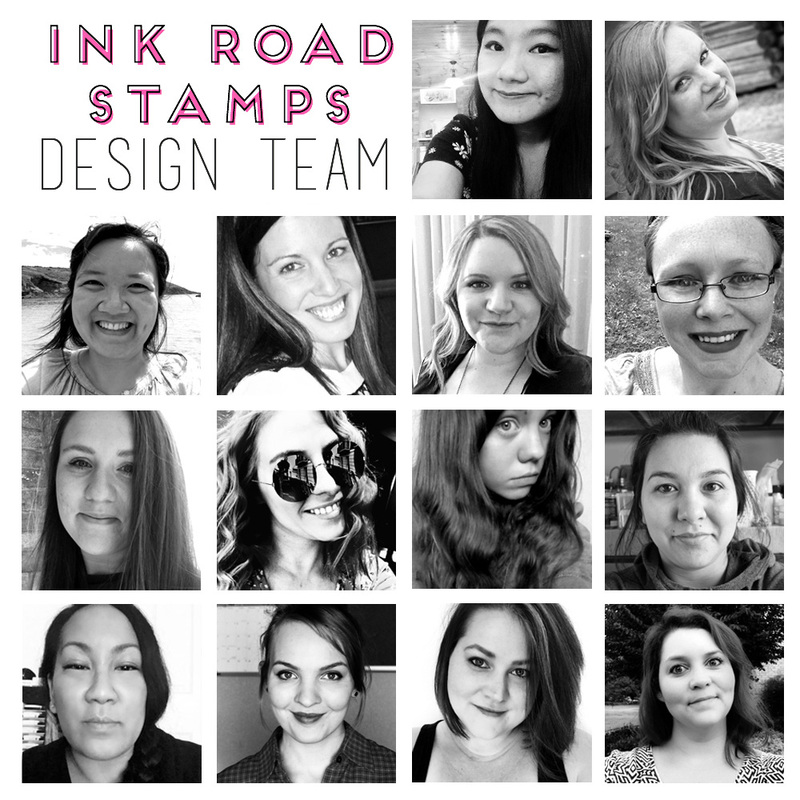 Head on over to their blog to answer - they're hosting a giveaway so be sure to enter - here and also check out what other design team members have created using this release. 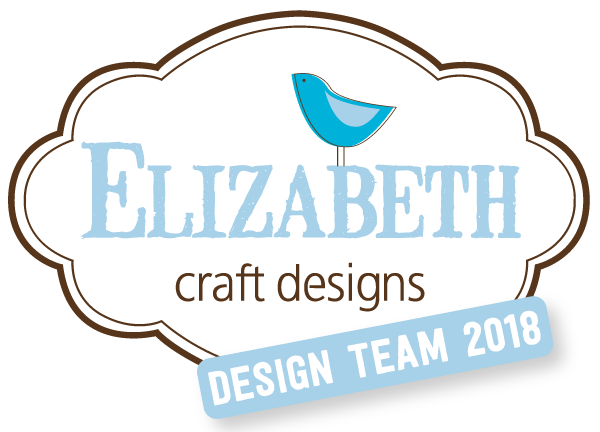 Elizabeth Craft Designs: Let's Party!